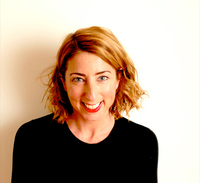 I love Jenny Colgan and often refer to her as 'The Queen of Chick Lit'. I am slowly making my way through all of her books and came across The Little Shop of Happy Ever After on the Kindle store when I was doing daily browsing. At a bargain price of 99p I brought it straight away and was really excited about reading it! Especially as it seemed to be about books, which as you know are one of my favourite things. Nina is a librarian and a major book worm living in Birmingham. When she is made redundant from her job due to modernisation she decides, as she loves books why not open a book shop? However, after coming to the realisation that she can't afford a building for her shop she decides to start one in a van, brought from way up in the Scottish Highlands. After the locals take to her idea, Nina decides to up and move there. Once there she meets an array of new people whilst helping them find the perfect book and a few men who could become potential love interests. Ok, first of all this is a book about books and I loved that! To be honest I think that was one of the reasons I was drawn into reading this. Nina's passion for books reminded me a bit of myself and I felt like I could instantly connect with her as a character. The idea that she worked in a library was also something that was appealing. I've always wondered what it would be like to work in one, so I got somewhat of an insight. The bookshop in a van idea was genius! I remember seeing mobile libraries around my town when I was younger and it reminded me of that. The way the locals all connect with Nina melted my heart and even though it was fiction went to show how books can bring people together. The setting of the Scottish Highlands I think was great for the style of book. The way the town and the surrounding areas were described was spot on and my imagination went wild. I've always wanted to go to Scotland so to read about it as a place just added to my wish. The only downside to this book was the romantic side to it. Although the romances that blossomed between Nina and two of the local men were sweet and slow burning I found them both to be somewhat unrealistic. I won't go into too much detail as I don't want to spoil anything, but there is a part involving a train and a picnic which I don't think would even happen in this moment of real time. There is also a part where Nina moves in with someone a bit too quickly, which in my mind just doesn't seem right. However, that's just my opinion. 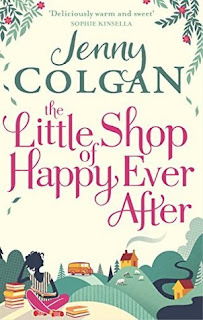 The Little Shop of Happy Ever After was a cute, sweet, quick read which I did enjoy. I loved reading a book about books and was instantly sucked in by it. Yeah there are elements that could have been done better, but nothing is perfect. This book would be a perfect beach read, especially at this time of year.